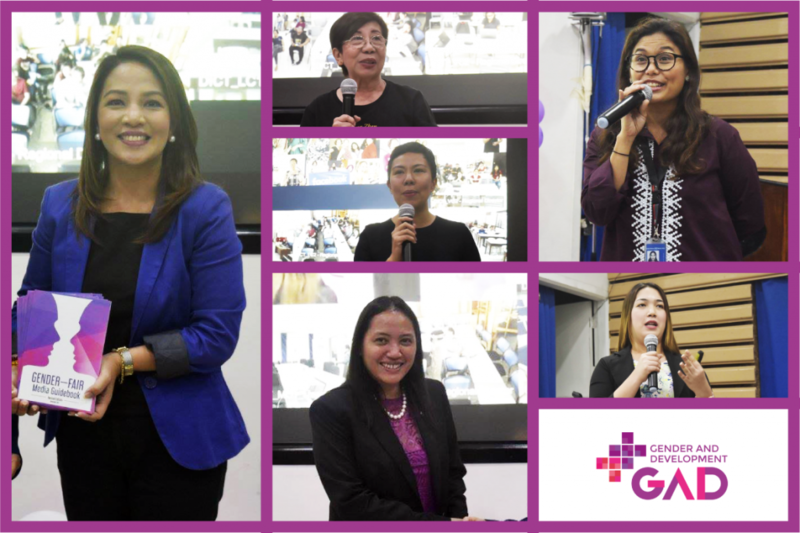 On the celebration of International Women’s Day 2019, Gender and Development (GAD) advocates emphasized the crucial role of ICT in attaining gender equality. Speaking during the Department of Information and Communications Technology’s (DICT) kick-off forum for the Women’s Month on 8 March 2019, Charisse Jordan, National Project Coordinator of UN Women, highlighted that ICT is a tool for empowerment, and must be used to capacitate female to bridge the digital gender divide. “Innovation and technology with gender perspective are crucial to remove barriers and accelerate progress for equality,” Jordan said. Gina Romero of Connected Women also emphasized how technology can empower the women workforce. Romero said technology adoption, through skills and online job trainings, are essential in achieving gender equality. “Technology is a game-changer. It levels the playing field and it gives opportunities that they never had before,” Romero said. International Labor Organization National Project Coordinator Lites Viloria echoed Romero’s insights while offering advise for women to help them develop skills in the field of STEM (Science, Technology, Engineering, and Mathematics). DICT-GAD Technical Working Group Vice Chair Juli Ana Sudario said the Department is continuously developing and conducting ICT activities that could uplift the lives of those who need it, including women. “We particularly advocate the role of ICT in empowering women to create impact in our society,” Sudario said. Championing representation, Gigi Garcia of the DICT’s National Government Portal tackled LGBTQ++ community in the forum. Garcia expounded on the aspects of Sexual Orientation, Gender Identity and Expression (SOGIE). PCOO Assistant SecretaryAna Maria Paz Rafael, meanwhile, gave tips on how to apply gender-fair language in daily communication activities. Rafael handed out the Philippine Commission on Women (PCW)-developed Gender Fair Media Guidebook to the participants. Carrying its local theme “Juana Ikaw Na! : Boses Mo’y Mahalaga Sa Kinabukasan ng Bawat Isa”, the Department, with support from its attached agencies National Telecommunications Commission (NTC) and National Privacy Commission (NPC), also held a series of activities including fun walk, Zumba session, essay writing and poster making contests. The DICT will also run forums to further strengthen the organization’s gender mainstreaming efforts every Wednesday of March, tackling topics on Women Economic Empowerment, Gender Responsive Governance, and Leadership and Women Power.